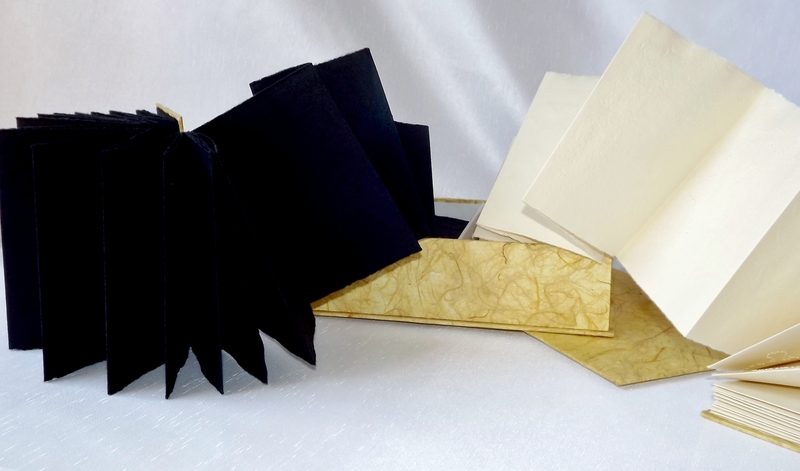 Unfolding Visions Concertina Artist’s Book, , Watercolour on Paper. The Black and White of It! 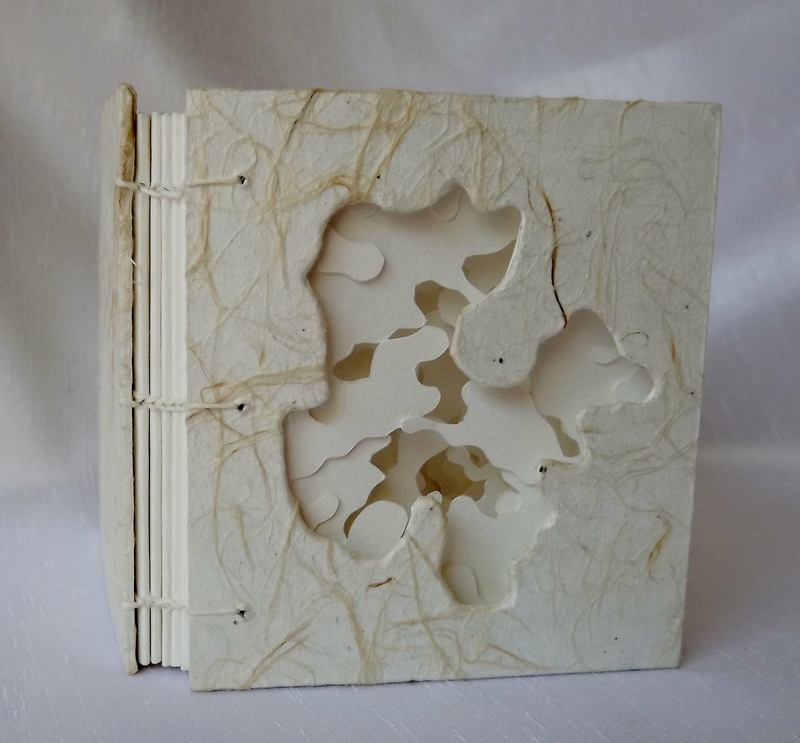 Concertina Artist’s Book, Collagraph (Blind Emboss) and Puncturing on Paper. 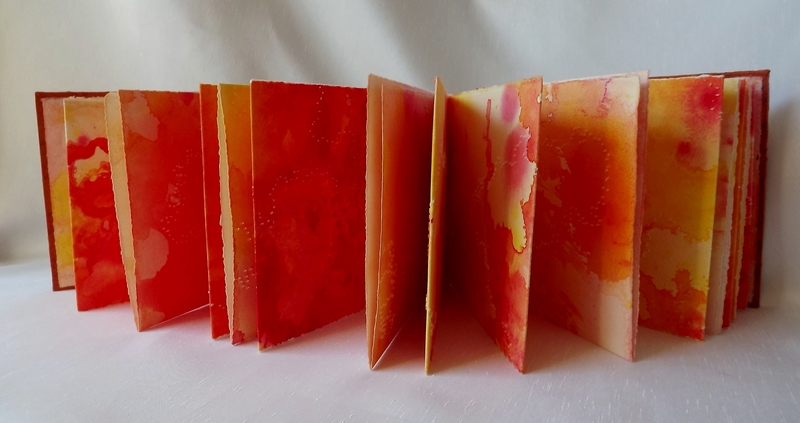 The Breakdown Index Artist’s Book, Watercolour, Acrylic and Ink on Various Papers. 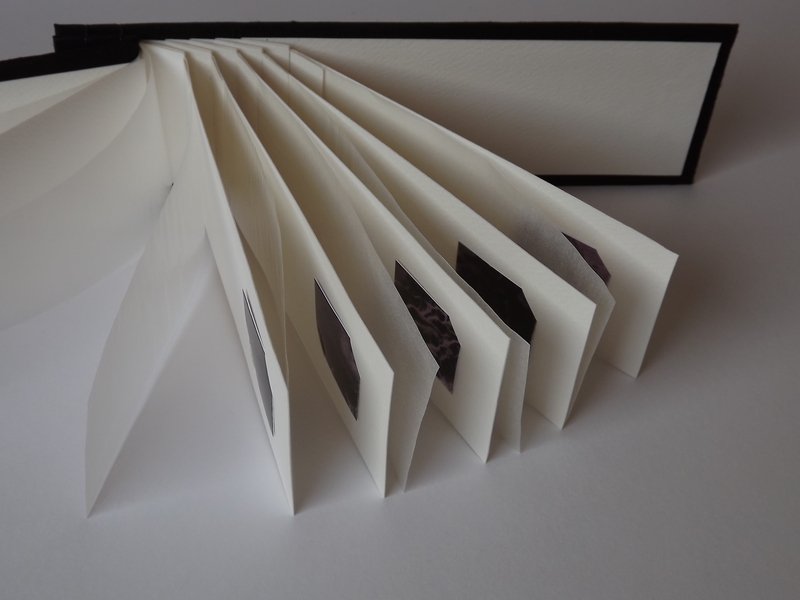 It’s a Whiteout Coptic Stitched Artist’s Book, Various Papers. 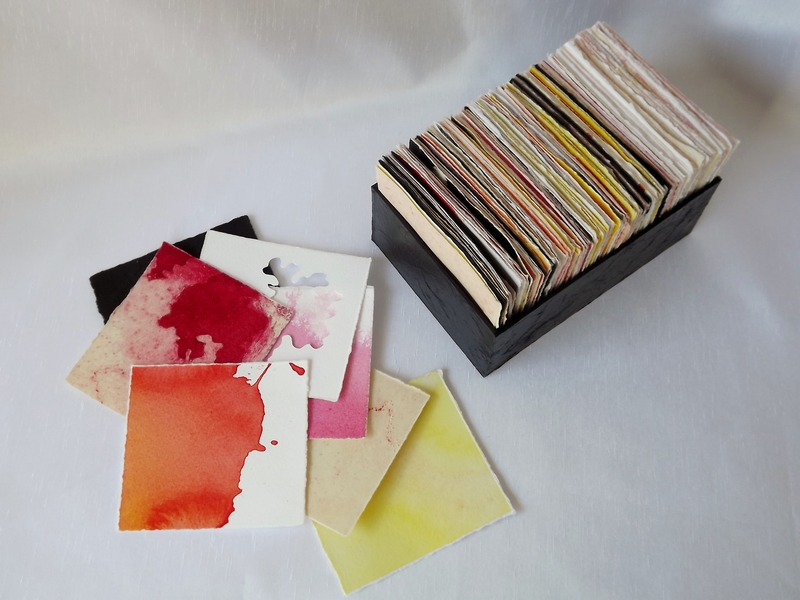 Watercolour Paper, Glassine Paper, Acetate and Silk Dupion.